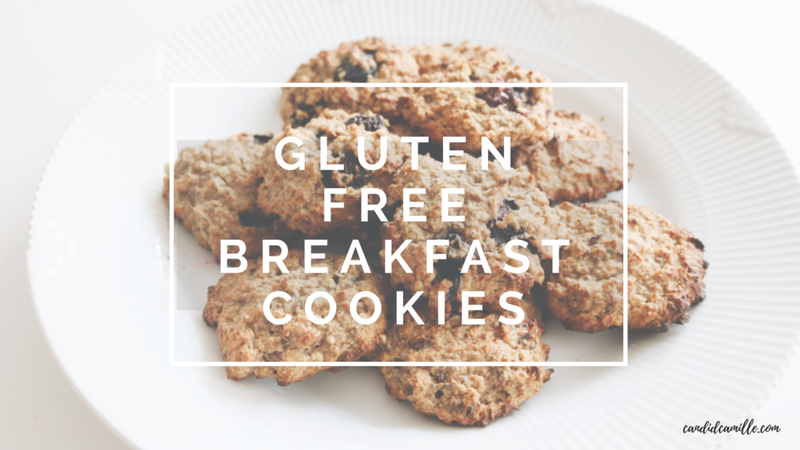 Recently in my posts I've been writing "you need this/these in your life right now" and I am about to say it again, because they gluten free breakfast cookies are OH SO good! They simply, quick, delicious and perfect for on-the-go! There are also gluten free (as mentioned), dairy free, refined sugar free and actually delicious. Like truly delicious - boyfriend approved even. Like 3 cookies straight out of the oven approved. Another thing I lovee about these cookies is that you can play around with it and add in whatever you feel like. For these I made half with cocoa nibs and the other half with fresh blueberries! I prefer having both because then I get two choices of cookie in one batch! Yay! It's the little things in life, right? Whether you want to bring them with you for breakfast or have them as a little snack in afternoon or just whenever you need a little pick-me-up or an energy boost! Make these babies on Sunday and have them for the rest of the week or make them in the weekend for a delightful, healthy goodie that everyone can enjoy! I hope you will love these cookies as much as I do! Give them a try and feel free to mix them up and add whatever you think would be delicious!